Books Should be published and distributed profusely all over the world. 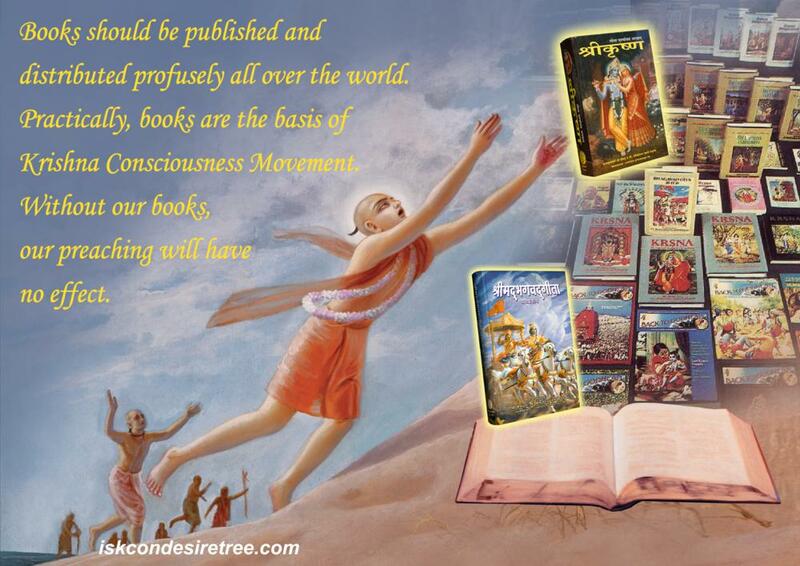 Practically, books are the basis of Krishna Consciousness Movement. Without our books, our preaching will have no effect. Distribution of my books is the most imporatant thing. These other thing such as selling incense and records are not as important as this. 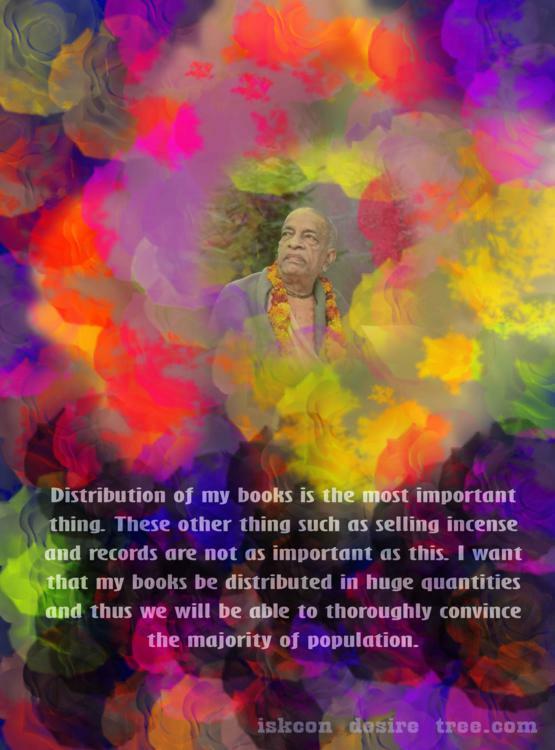 I want that my books be distributed in huge quantities and thus we will be able to thoroughly convince the majority of population. 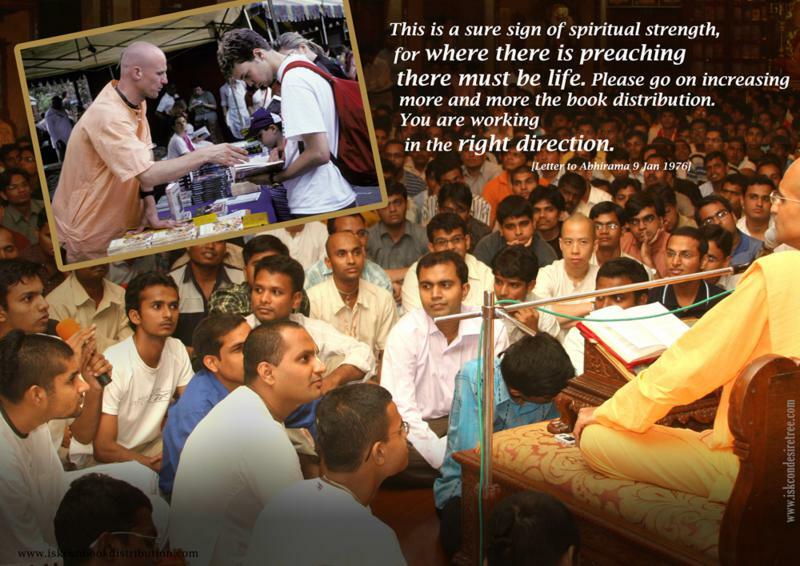 This is a sure sign of spiritual strength, for where there is preaching there must be life. Please go on increasing more and more book distribution. You are working in the right direction. Books are the basis of our Movement. Without our books, our preaching will have no effect. Distribution of books and magazines is our most important activity. 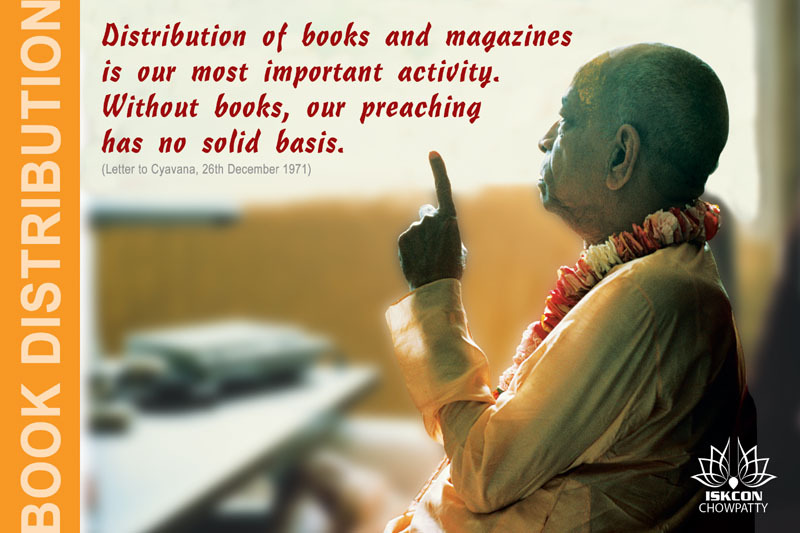 Without books, our preaching has no solid basis.- Letter to Cyavana, 26th December, 1971. 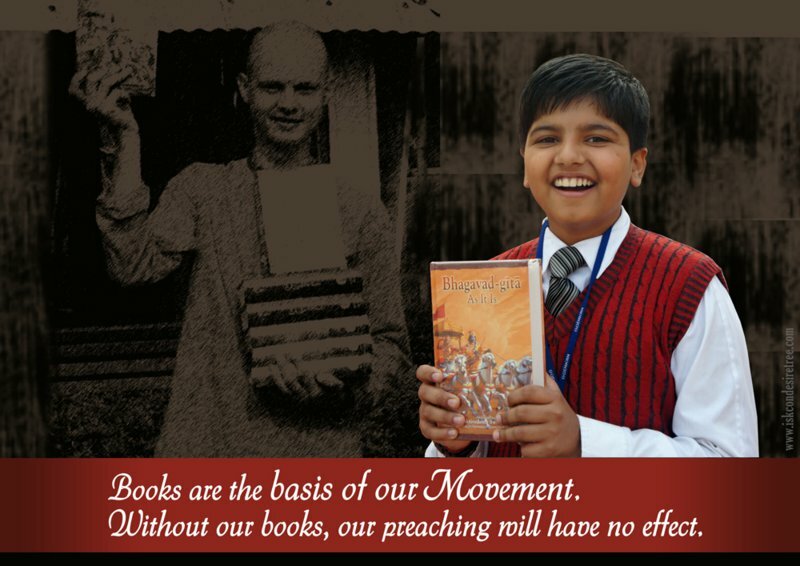 This, our book distribution, is the most important task in our society. 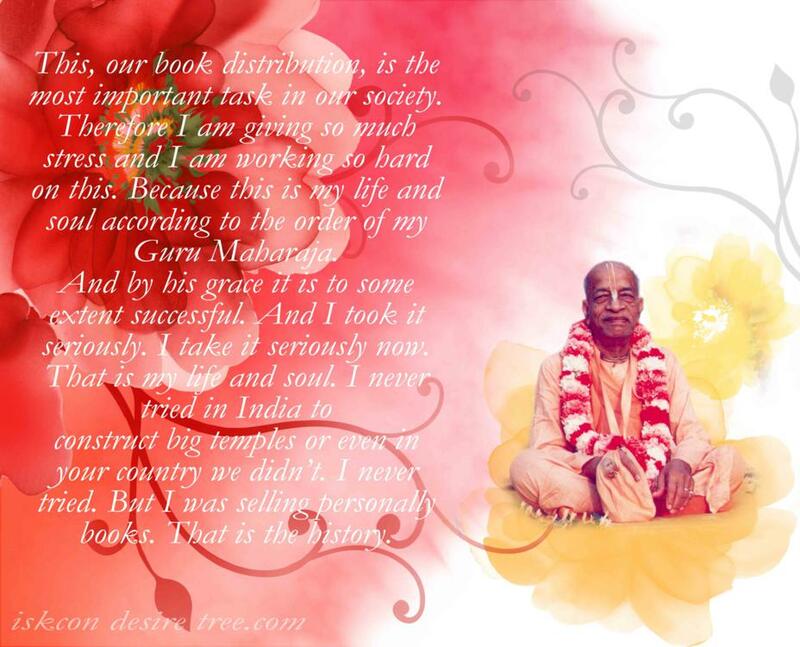 Therefore I am giving so much stress and I am working so hard on this because this is my life and soul according to the order of my Guru Maharaja and by his grace it is to some extent successful. I took it seriously. I take it seriously now. That is my life and soul. I never tried in India to Construct big temple or even in your country we didn't. I never tried but i was selling personally books. That is the history.